The Stolen Princess is a 2018 Ukrainian 3D animated fantasy film directed by Oleg Malamuzh and based on the fairy tale Ruslan and Ludmila by Russian poet Aleksandr Pushkin. The film premiere in Ukraine took place on March 7, 2018. 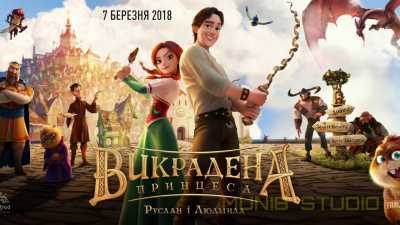 The film tells about a wandering artist Ruslan who saves princess Mila kidnapped by evil sorcerer Chornomor.